Located at theaamgroup.com/popcatalog, our Point-of-Purchase (POP) Catalog provides an easy-to-browse listing of displays offered by our sponsoring manufacturers. Fully searchable by brand, category, and keyword, the catalog includes important information such as cost, how to order, and dimensions (so you’ll know whether the display will fit in your sales area). The system can even send a message directly to the appropriate manufacturers and warehouse distributors to let them know what you want to order—no more trying to figure out who you need to contact to get what you want. Energize your showroom today with the industry’s best displays! Make your showroom more dynamic with exciting displays. Search by brand, category, and keyword. Dimensions let you plan out your display space. Automatically message the manufacturer and your distributor about ordering. Come inside the Total Truck Centers™ garage as we take you through the installation of some of today’s hottest performance accessories In this episode, we install the BDX Performance Programmer from Bully Dog on a 2015 Ford F-150. Want to check out more about Bully Dog? <p>Come inside the Total Truck Centers&#x2122; garage as we take you through the installation of some of today&#8217;s hottest performance accessories In this episode, we install the BDX Performance Programmer from Bully Dog on a 2015 Ford F-150. StyleGuard XD floor liners from ARIES aren’t your run-of-the-mill mats. 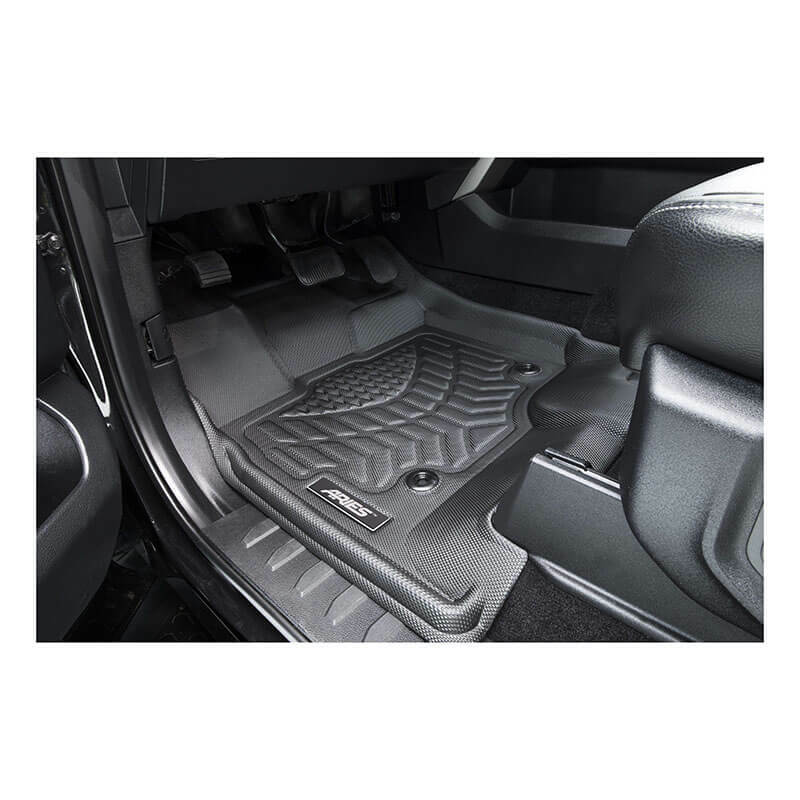 Laser-measured and boasting a multifunctional three-layer construction, these tough-but-sleek StyleGuard XD floor liners give your Jeep Wrangler JL the first-rate interior protection it deserves. The first layer—the base layer—is covered with OmniGrip fibers: wire-like threads that lock the liners in place on virtually any kind of carpet. Unlike plastic “nubs,” these bristles offer literally thousands of anchor points to prevent sliding around. The second is a generous layer of cross-linked polyethylene foam that provides a comfortable stepping surface, absorbs and reduces engine and road noise, and provides two-way temperature insulation. The third and top layer is composed of thermoplastic rubber (TPR), which is wear resistant and waterproof. It resists the wear of foot traffic, provides welcome traction, and delivers elevated interior style. Also at the top level are raised edges and smartly engineered channels that contain spills and debris. To install StyleGuard XD floor liners, just drop them in: they are designed to conform to the shape of your floor. Plus, when it’s time to clean, just hose them off and let them air dry. 2808509 is a complete kit that includes front and rear liners. Other applications available. Durable three-layer construction for ultimate interior protection. Thousands of patented OmniGrip fibers prevent movement on carpet. Channeled surface and raised edges contain liquids and debris. Cross-linked polyethylene foam adds comfort and helps limit road noise. Laser-measured design for perfect, vehicle-specific contour. Flexible, waterproof TPR top layer will not become brittle over time. Lightweight construction for simple, drop-in installation and easy removal. Fire-retardant according to FMVSS 302 testing. Offered in complete kits or individually for the first or second row. Redesigned WARN Elite series front bumpers for Jeep Wrangler JK have hit the street, highlighted by new styling, more off-road performance options, and the ability to mount up to a 12K lb. WARN winch. These new bumpers include integrated off-road jack lifting points and shackle-mounting tabs for even more off-road recovery options under the most abusing off-road conditions. They include a durable flat-black powdercoat enhanced by a zirconium nanotechnology treatment able to withstand 408 hours of salt spray testing. Winches mount in such a way to achieve maximum airflow, and the bumper itself accommodates WARN winches such as the ZEON, ZEON Platinum, VR, XD9, XD9i, 9.0Rc, and 9.5xp (winches not included). Get your Elite series front bumper in one of four different configurations: full width (with and without grille guard tube) and stubby (with or without grille guard tube). New styling and more off-road options. Can mount a winch with up to a 12,000 lb. capacity (winch not included). Five-stage protection, including a flat-black powdercoat and zirconium nanotechnology. Available in full width and stubby versions, with or without grille guard tube. <p>Redesigned WARN Elite series front bumpers for Jeep Wrangler JK have hit the street, highlighted by new styling, more off-road performance options, and the ability to mount up to a 12K lb. WARN winch. With corner-specific progressive-rate coil springs tuned to provide superior on-road comfort and off-road performance, the all-new coil spring kits for 2018 Jeep Wrangler JL from Rancho give your rig a perfectly level stance and ride—even when towing or under heavy loads. Front coil springs provide up to 3.5” of height on your JL Rubicon or up to 4.5” of height on other JL models. For 2018 Jeep Wrangler JL. Up to 4.5” of lift, depending on application. 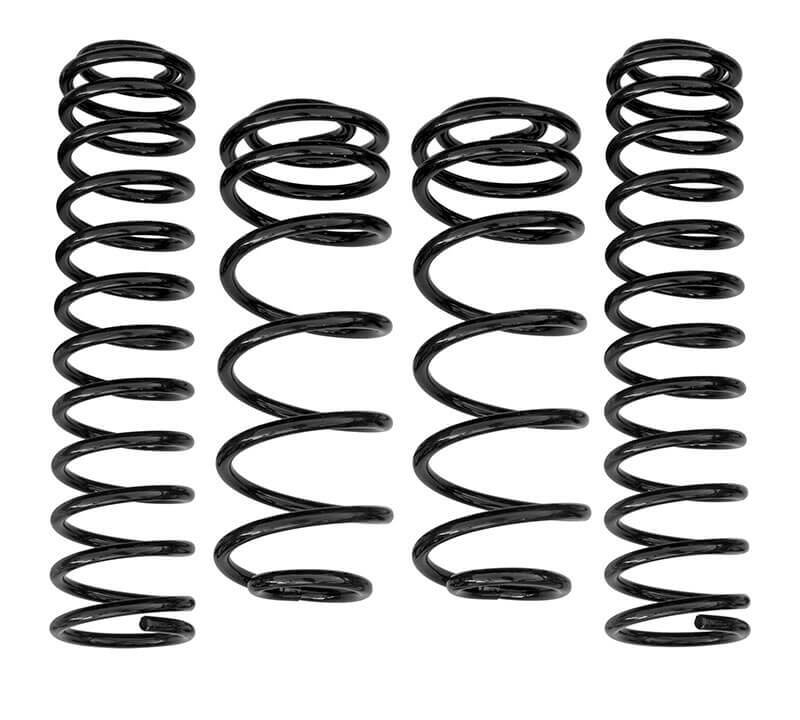 Corner-specific, progressive-rate springs tuned just for the JL. Superior on- and off-road comfort and performance. Designed to allow for larger wheel/tire combinations without body/fender modification. 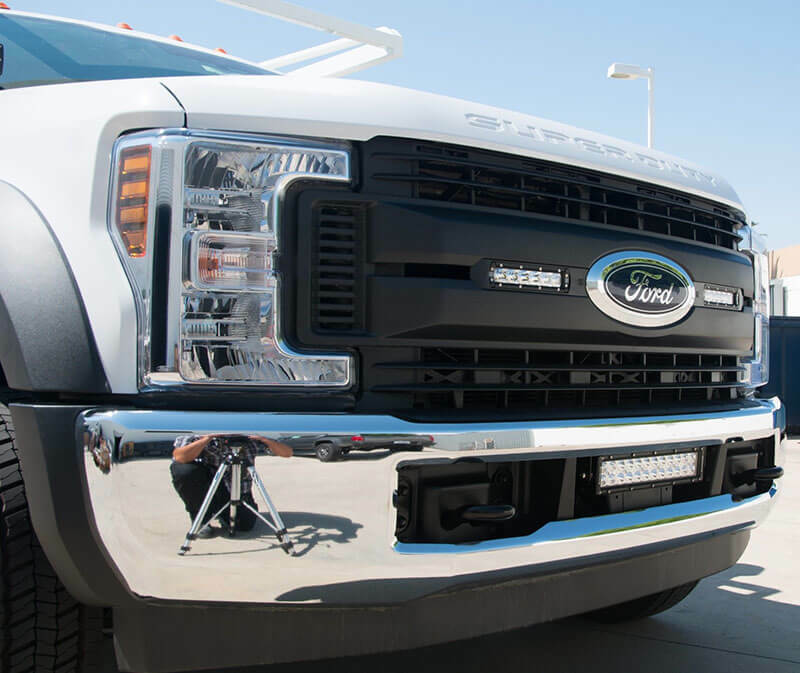 Introducing the newest member of the growing ZROADZ line: OEM LED grille inserts for 2018–2019 Ford F-250, F-350, F-450, and F-550 Super Duty XL work trucks. This easy and economical kit adds two 6” LED bars to what has to be the most popular work truck ever produced. The combined 6,000 lumens of light output draw only 2.5 amps and can be used as supplemental driving lights or as high-powered scene lighting. The unique mounting location keeps the lights out of harm’s way, while the kit itself goes on in under an hour and includes everything needed to complete the installation. For 2018–2019 Ford F-250, F-350, F-450, and F-550 Super Duty XL. Easily inserts into factory grille using common hand tools. Two-stage powder coated and precision laser cut. Warranty: limited lifetime (structural) and 3 years (finish). The Digital Marketplace™, Total Truck Centers’ website-building service just for retailers and installers in the automotive aftermarket, has a new name: Aftermarket Websites™! But this change is about more than just a new name. It speaks to the fact that your store is a place where customers go not only to buy products, but also to fulfill the dreams they have about improving the look, functionality, and experience of their prized vehicles. Your Aftermarket Websites™ site drives local traffic right to your door by ranking highly in online searches for the products, categories, and services you offer. If shoppers don’t know you exist, they can’t find you! Aftermarket Websites™ helps to present you as your area’s number-one option for aftermarket accessories to customers searching online. But Aftermarket Websites™ does much more than just play nicely with Google. You’ll get to choose the look and feel of your site so it doesn’t look like everyone else’s. Plus, you get free product uploads, shopping cart functionality, analytics tools, mobile compatibility, free support and training, and more—all at an incredible value thanks to the manufacturers that support Total Truck Centers™. To learn more about the value of Aftermarket Websites™, visit upin15.com or call (888) 251-4252. Shoot to the top of Google search results to get found locally. Choose your site’s look and feel for a custom presentation. Quickly upload new products to save you time. Enable shopping cart functionality to take online orders. Enjoy free support and automatic updates. 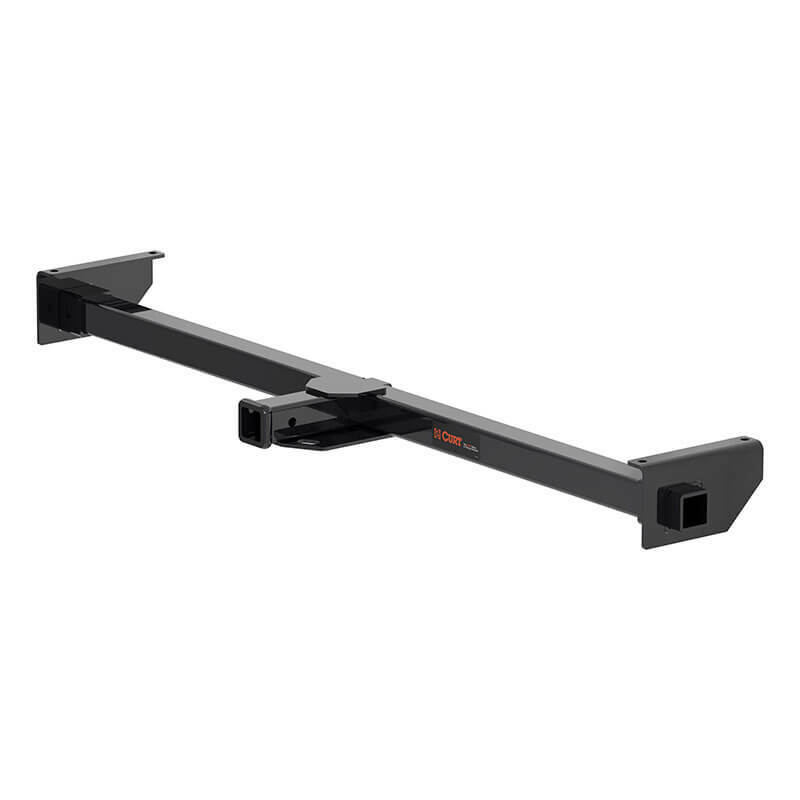 Helping you maximize the potential of your motorhome, the 13704 adjustable RV hitch from CURT provides a variety of travel options, including allowing dinghy towing, installing a ball mount to tow a trailer, increasing storage space with a cargo carrier, and much more. Its adjustable, universal fit can accommodate frames up to 72” wide. This hitch comes with a standard 2” receiver tube, into which you can install a 2” ball mount or tow bar. The 13704 hitch boasts a gross trailer weight rating of 3,500 lb. and a tongue rating of 350 lb. Like all CURT custom hitches, this product was tested and made in the USA. It’s protected by a liquid Bonderite coating and a black powdercoat for industry-leading rust, chip, and UV resistance—offering reliable use season after season. Installation hardware included. 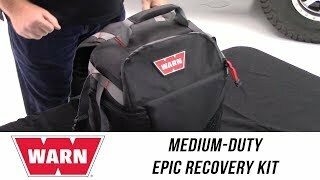 Designed for towing a cargo carrier, trailer, or small vehicle behind an RV. Rated to 3,500 lb. gross trailer weight and 350 lb. tongue weight. Three-piece, adjustable design fits RV frames up to 72” wide. Tested for safety in accordance with SAE J684. Protected by a durable glossy black powdercoat. Co-cured in a rust-resistant liquid Bonderite coating. Equipped with an open-back receiver for easy cleaning. Warranty: limited lifetime (1-year finish and parts).